450 to 550 degrees F. Very hot oven. 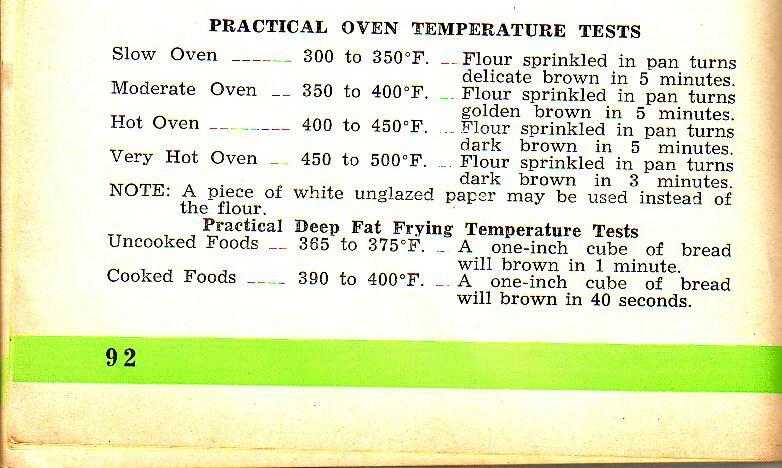 “The New Home Cook Book” from 1926, on yet another hand, provides directions with reference to rotary dials with numbers on them – “Put Food in Oven When Thermometer Hand Reaches” X, and “Suggested Cooking Heats. Set Adjustable Hand at” Y. It actually refers specifically to the Westinghouse Electric Range models M-1 and M-2 (wish I could find a picture of one!). 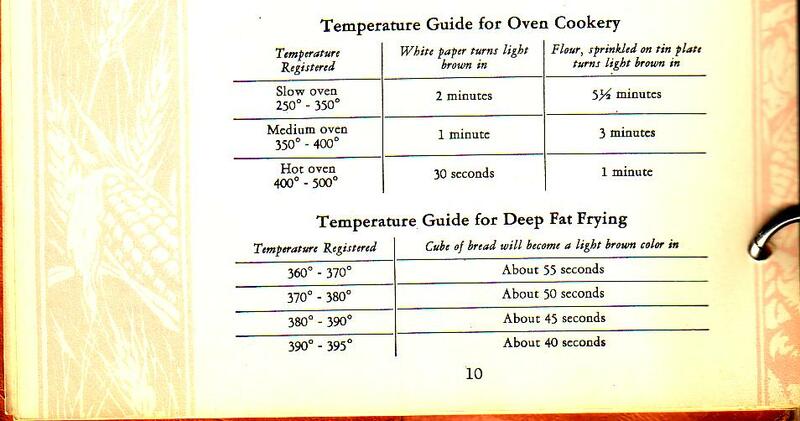 Now, a range of 50 degrees or more is not as precise as the modern cook expects. I’d probably try the lower end of the range to start with, as it’s easier to correct under-cooking than over-cooking.